A fairly small speaker available in great colors, but does it justify its $100 price? Water resilient, great design and lots of color choices. Terrible phone quality, poor control placement and design, and steep learning curve. If you are looking for an inexpensive, water resilient speaker for music and video but not telephone capabilities, this might be worth considering, but should not be your go-to product. This speaker has a multiple mandate: be inexpensive, sound good and be water resistant. Unfortunately, those are almost mutually exclusive - you can do 2 well, but not all 3. Because of that, speaker companies must figure out where on the spectrum they want to be. This speaker has certainly decided upon inexpensive, with an MSRP of $99, but available above for $79. That means that either water resilience or sound quality has to suffer, or somewhere in-between. For the Flip 3, JBL decided to err on the side of water resilience and not sound quality. Compared to more expensive speakers in the same water rating the Flip 3 sounds muffled. The sound becomes even more muffled if both ends of the cylinder are not completely uncovered. The loss of sound quality is worth it, though, to get a speaker in the price point that is splash resistant. You're certainly not going to want to make it your primary speaker for your office, but as a poolside speaker, or something you use outdoors, you won't be disappointed by the sound quality. This speaker does not support NFC pairing, which is not unexpected for its price point, but standard pairing is really easy to accomplish. A simple press of a pairing button puts the speaker into pairing mode, which is assisted by a tone and blinking light indicating pairing mode. The phone detected the speaker and connected immediately. It played music from Groove until the battery on the speaker died completely at which time the music paused automatically. The phone detected the speaker and connected immediately. It played music from Groove for at least an hour uninterrupted by signal drops or hiccups. The phone detected the speaker and connected immediately. It played music from Pandora and YouTube for several hours while on battery, in a car. We experienced a couple of signal drops, which were likely caused by Android itself, not the speaker. The range of this speaker is actually more than you would expect, considering the company does not claim any special range enhancements. I was capable of using the speaker anywhere in my 3 bedroom apartment with the sound source (Nokia Lumia 635) in the extreme corner. The sound quality was strong all throughout the apartment without any skipping or signal loss. I was also able to bring the speaker outside, through exterior walls and matal window shades. In fact, I managed to retain decent signal walking entirely around the outside of the apartment, including across 2 rooms, an exterior wall and a patio. As always, the testing process for battery life involved both our official battery test process to verify the claims of the company, as well as a practical test to determine if its lifespan is good enough to accomplish the goals of the product. For this test, we decided to take the speaker with us in the car while doing errands for an afternoon. We used the JBL instead of the speakers in the car, streaming from a variety of devices we had with us, bringing audio from a variety of sources. Unlike the speakers in the car, this obviously did not turn off automatically when the car turned on, so we left it on while we did our running around. Almost all of the devices we used during our test worked extremely well (save for the HTC mentioned in the Connectivity test). Even without turning off the speaker while we left the car, the speaker lasted through all of our running around, and left the battery at 3/5 remaining after an entire afternoon of errands. Running the battery test against this speaker, we got an average of 12 hours and 45 minutes of runtime across several tests. The company claims an expected 10 hours of battery life, which this rating is far above. In fact, even our lowest result, 11 hours and 43 minutes, was well above the company's expected lifespan. With a battery this long, it would be very difficult to have a scenario in which the battery is not long enough. A party, pool event, picnic or even a full day of work will end long before the battery. While the express purpose of this speaker is not phone calls, it is included as a primary feature, with the control being front-and-center. The call quality is very different, depending on which side of the call you are on. If you are not sitting directly in front of the speaker, but instead on the other end, you would almost not know that you are on speakerphone, let alone on a Bluetooth speakerphone. If you are the owner, however, you will be more than disappointed by the quality. When in phone mode, the speaker goes from a little muffled to drive-through ordering system quality. You would likely be better off using the built-in speakerphone function on your phone rather than using the Flip 3 in speakerphone mode, unless you are giving a presentation, in which case the microphone on the Flip 3 is likely better than the built-in. Generally, the controls for the speaker are straight forward. A phone icon for answering a call, a plus and minus for volume control, a Bluetooth icon for pairing and commanding. Those are all big and front-and-center. The problem is that they are the exact same color as the rest of the speaker, and mounted against a mesh background, making them difficult to find upon initial searching (more about that in Learning Curve). Then there is a button that appears to be a warning sign, which is the power button (the 0/1 are turned 90 degrees from what you might expect). There is also a button that appears to be an hour glass, which also puts the speaker into pairing mode. If you are trying to interact with the speaker in little or no lighting, or as a blind person, finding these controls would be very difficult. The 4 big buttons are not easy to find via feeling because of the mesh texture that completely surrounds them. The 2 smaller buttons are not physically diverse at all, being almost entirely smooth against the smooth part of the barrel body. The only thing you are likely to find with limited or no visibility would be the charging port, but only because there is a small notch for a fingernail. Missing entirely from the control scheme is a way to force the battery indicator to show on demand. In our testing, the only way to get it to come back on was to power the speaker off, or put it into pairing mode. The problem with pairing mode is it stops your music and it cannot be backed out of - it either eventually times out or you have to power the speaker off anyway. Fortunately, most of the interaction with the product can be done entirely from the paired device, meaning you are unlikely to need to touch the hidden and missing controls at all. If you are including a microphone in a modern Bluetooth speaker, it is expected that there will be some sort of noise cancelation built-in. This speaker seems to have little to none. While on a phone call, I started playing both music and television in the background, and the person on the other end was able to hear it as soon as it was loud enough to be above a whisper in the office. In fact, the person on the other end was able to hear it louder than I was, though they were unable to identify what it was in any detail. The cadences were there to detect television or music, but nothing more concrete. If you are using this in telephone mode, you will want to do so in a very quiet environment. As was mentioned in the Controls section, there are some issues with the way this speaker works. There are a few buttons on it that are not immediately understandable, such as the rotated icon of the power button, or the entirely unknown icon of the pairing mode button. 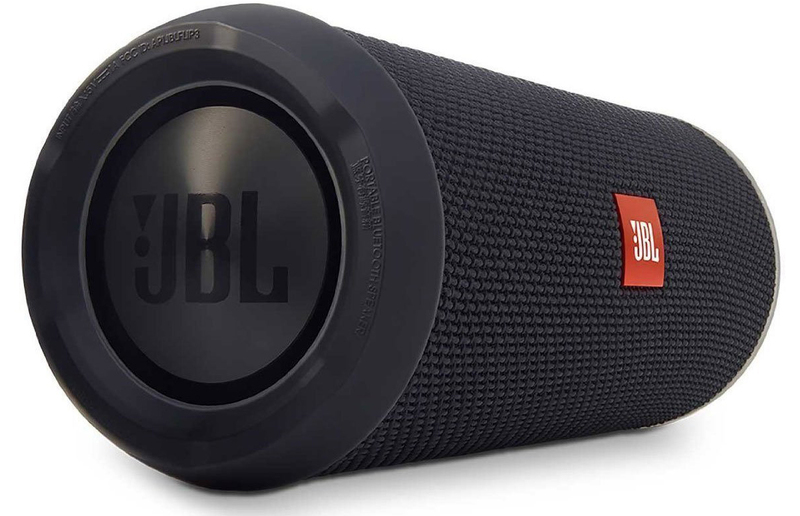 If you are not intimately familiar with the operations of a Bluetooth speaker, you might not immediately be able to turn this one on or off, and you might struggle to pair your phone or tablet, as well. The controls whose buttons are labeled well are both visibly and physically hidden on the body, making them difficult to locate. Once they are located, they overshadow the more important power button. For a product that is targeted at consumers, being able top pick it up and understand it quickly is important, and this device does not afford that capability.